Being parents of pre-teens and teens takes a lot of challenge especially in journeying with them in a growing relationship with Jesus which affects every aspect of their lives, from everyday choices, at home, in school, and wherever to pursuing God and His wonderful plan for them. That is why Church of the Living Hope – B.I.A.S. (Because I Am Saved )Youth Group is here. We are here to partner with parents in discipling their child/ren and training them to become spiritual leaders of their generation. 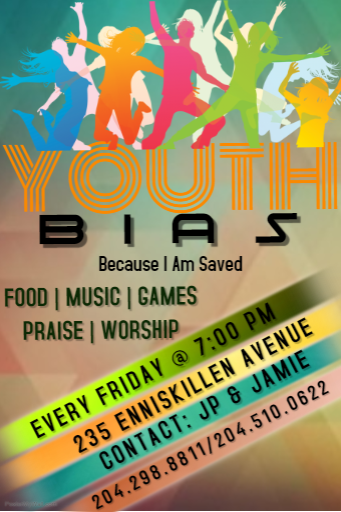 BIAS Youth meet weekly for a fun time of fellowship, worship, Bible Study, and prayer. We desire to see our youth to be intentional, uncomfortable, and uncompromising as we seek God together. This means we will do whatever it takes to fulfill our mission and vision, to glorify God as He transforms us as we lovingly obey Him, and uses us as agents of transformation until Christ returns. Youth leaders also spend informal time with our youth to develop healthy accountability and mentor them. Our youth’s involvement is crucial in determining future ministry plans; as well as in developing their leadership potential, utilizing their God-given gifts, talents and skills, and influencing their generation to help in building the Lord’s kingdom. So, we pray, cast vision, dialogue, and seek God’s direction with them.